The Harrod Sport ® Heavy Duty Aluminium Indoor Hockey Goals have been designed specifically for indoor use only. 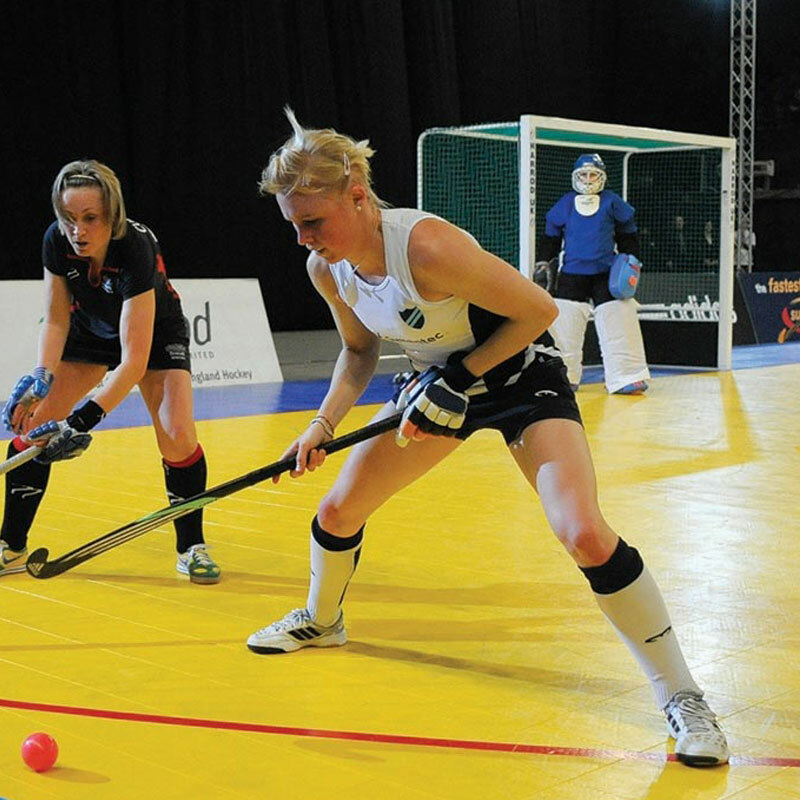 The ideal indoor regulation hockey goals as used at the England Hockey Super Sixes Indoor Finals. 2 x Aluminium Indoor Hockey Goals. Manufactured from 50.8mm x 65mm x 2.5mm thick reinforced aluminium. Uprights, crossbars and side frames all polyester powder coated white. 460mm high backboards made from reinforced aluminium panels with green needle felt carpet on all inside faces. Side frame complete with fully welded back tubes and lifting handles for added strength. Must be anchored when in use or stored. 3.00m x 2.00m x 1m runback (10` x 7` x 3`). 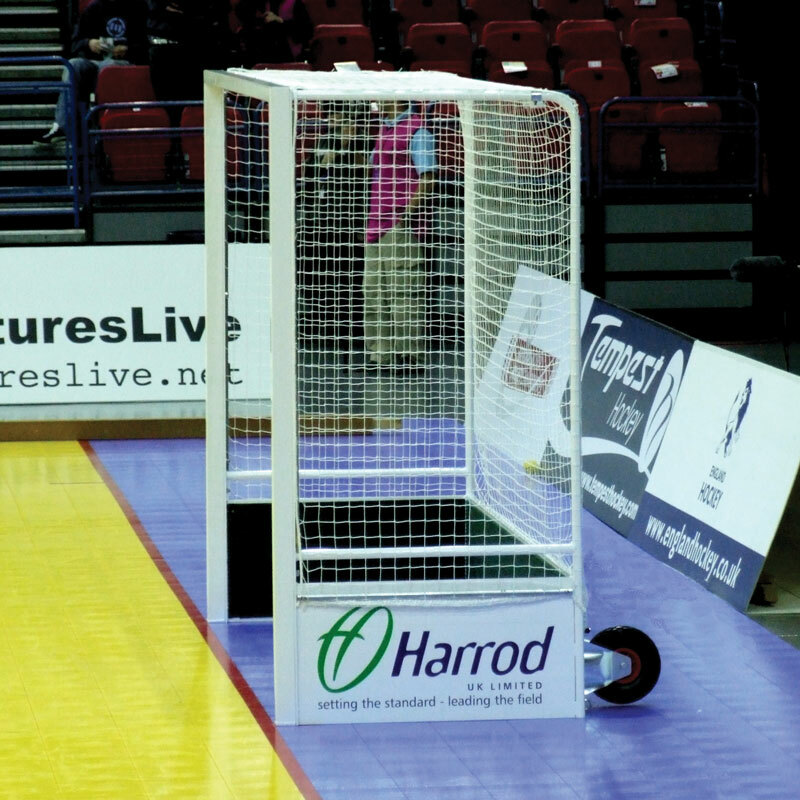 Lost the instructions for your Harrod Sport ® Heavy Duty Aluminium Indoor Hockey Goals? Please Click Here to download a new copy.